I love dogs. Really, I love animals of all kinds, but dogs have a special place in my heart. They love unconditionally and will go to extreme lengths for a simple pat on the head or “good boy.” No one else is as happy to see you again minutes after you just left the room, and no one else is so willing to do silly, embarrassingly ridiculous tricks for the simplest of treats. During my trip, the dogs I came across helped alleviate the homesickness of knowing my own dogs were back home waiting and wondering where I was. If you’re accustomed to taking your dog to pet boutiques and dropping him off at doggie daycare every day, then seeing the day to day existence of dogs in Peru will break your heart. Even if you don’t pamper your dog excessively, you’re still in for a shock. 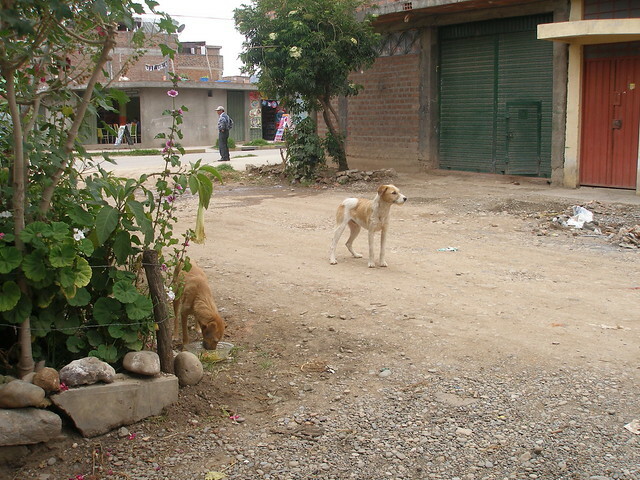 The majority of dogs in Peru are “street dogs” and have no owner; those dogs that do have owners live no differently than the rest – they just struggle a little less to find food. Because all the dogs are full of dirt and fleas, no one pets them. People were shocked to hear we let our dogs sleep on the bed with us; they would have been floored to hear that our chihuahua squirrels his way under the covers to get comfy! 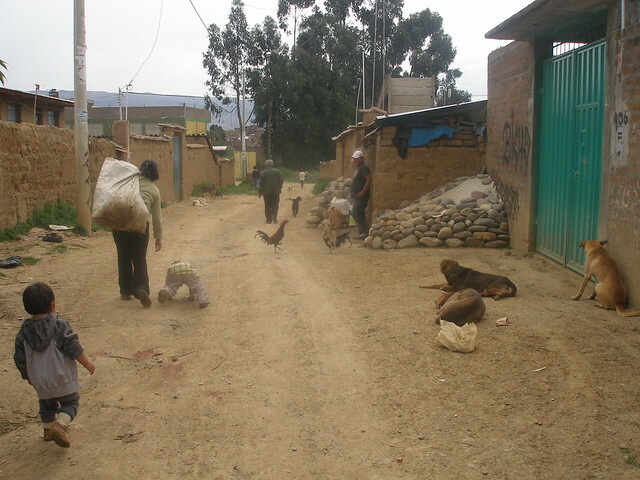 Thank you, Peruvian doggies, for making my week in Huancayo that much better. Your wagging tails and loving hearts will not be forgotten. 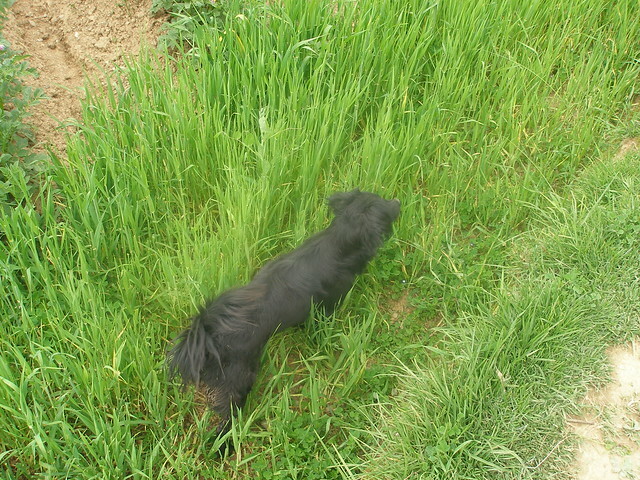 Dogs in the countryside weave through the crops like pros. So many street dogs are just skin and bones. You could see packs of them tearing into garbage bags looking for food. 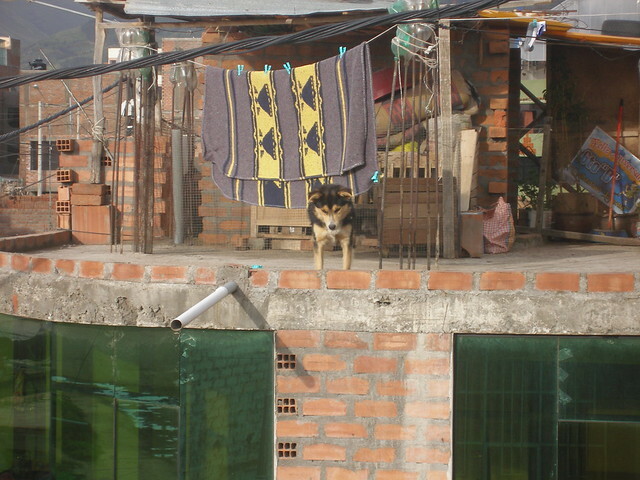 This dog lived on the roof! He ran fearlessly close to the edge and barked down at all the happenings on the street. He was a one-dog Neighborhood Watch! 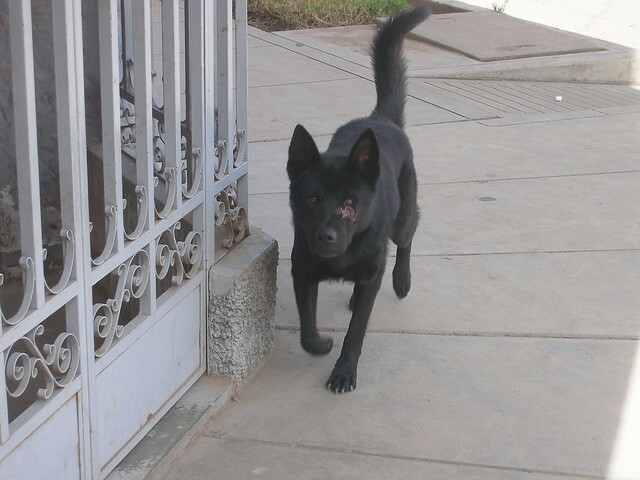 I named this dog "El Negrito" and he was a regular visitor. He ate all the leftovers I gave him (but spit the fava beans right back out at me!). His owners "treated" his facial wound by boring a hole to let it drain. Doesn't he look like he's got places to go and people to see? 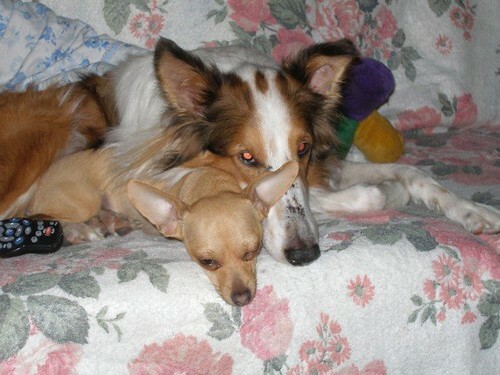 Even though this is an old photo, I wanted to end with a picture of my two babies at home. They're far from being little angels and drive me crazy when I'm trying to get work done, but I wouldn't change them for the world. These little guys make my house a home. Anyone who's ever gone out of the way to help an animal in need, be it with a kind word or much more: Thank You! Believe me; they truly do appreciate it more than they can let you know.